After a one-year absence, the Dallas Mavericks returned to the postseason and pushed the eventual champions to seven games in the first round. 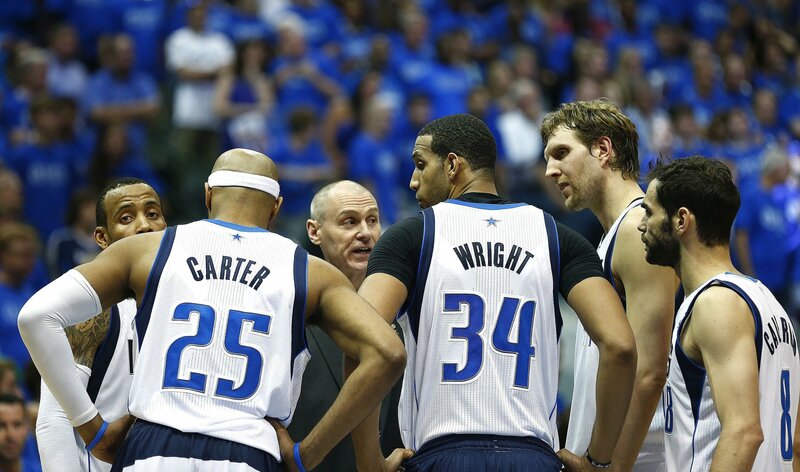 Now with some cap space to splurge in the offseason, can the Mavs make it out of the first round next year? After a one-year hiatus from playoff action, the Mavericks made their return to the Western Conference playoffs, sneaking into the top eight in the 11th hour. It may have taken until the last day of the season, but after squeaking past the upstart Phoenix Suns, Dallas’ 49-33 record earned them the eighth and final seed in the ultra-competitive West. While the Suns were the league’s Cinderella story, it only seemed right for Dallas, once again led by their German superstar Dirk Nowitzki, to return to the postseason. The Mavs shockingly missed the playoffs only two years removed from their first NBA title, ending a 12-year run of consecutive advancements to the league’s second season. One more playoff run was a just reward for Nowitzki after he was unable to defend his title thanks to owner Mark Cuban’s decimation of Dallas’ championship-winning core. However, the joy of qualifying for the postseason was short-lived, as the Mavericks had to face off against the soon-to-be-champion San Antonio Spurs in the first round. Dallas did put up a valiant fight, pushing the series to seven games (more than any other Spurs opponent this postseason), but San Antonio condemned Rick Carlisle’s men to their second first-round exit since winning the title three years ago. Questionable front office decisions and unlucky playoff seeding aside, the Mavs came back strong this season, most notably, improving on the offensive of the floor. Dallas once again ranked eighth for points per game (104.8), but they jumped to third in offensive efficiency (111.2) – up from 14th a season ago (105.9). Having a healthy Nowitzki and the addition of Monta Ellis were obviously key to the Mavs prolific offence, but the addition of savvy point guard Jose Calderon kept the offence flowing and helped immensely creating high-percentage shots. The Spaniard finished the season averaging 11.4 points, 44.9% from three (fourth in the league) and 4.7 assists per game – he also knocked in the seventh-most total triples in the league, even more than the likes of Kyle Korver and James Harden. Veteran wingman Vince Carter emerged as a genuine Sixth Man of the Year candidate (finishing sixth in official voting), averaging 11.9 points and 39.4% 3FG for the season. Meanwhile, utility forward Shawn Marion (10.4 points, 6.5 rebounds and 1.2 steals) continued to showcase his all-around game, helping on both ends of the floor as he has for most of his career. Dallas did more up the rankings for points allowed against per game this season – moving to 20th in the league (102.4) from 27th a year ago (101.7). However, they gave up more total points, despite playing at a slower pace – down to 16th (93.5) from seventh (94.1) – so in truth, their defensive efficiency actually got worse – down to 22nd (108.7) from 19th (106.5). Samuel Dalembert failed to fill the shoes of Tyson Chandler, but did finish the season 19th in total blocks and was an effective rebounder in his foul-limited minutes – second in offensive rebound percentage and eighth in total rebound percentage. Meanwhile, fellow offseason addition Devin Harris (7.9 points and 4.5 assists) was also a valuable acquisition, giving Dallas a defensive option at point guard to help cover opponents that Calderon could not. Likewise, Brandon Wright (9.1 points, 67.7% FG and 4.2 rebounds) gave Dallas valuable defensive-minded frontcourt depth – something that Nowitzki does not excel at. He might be one of the league’s elder statesmen, but Nowitzki turned in one of the most efficient seasons of his career in year number 16. Despite his age – Dirk turned 36 on Jun. 19 – Nowitzki returned to top-15 scoring status, finishing the season averaging 21.7 points (13th in the league) to go with a handing 6.2 rebounds and 2.7 assists per game. Even with Kevin Love and LaMarcus Aldridge emerging as great power forwards in the league, Dirk was still honoured by the league’s coach with his 12th selection to the All-Star Game. On his way to passing Oscar Robertson for 10th all-time in NBA scoring, Dirk narrowly missed out on recording his second 50-40-90 season (the first coming in his 2006-07 MVP season), ending the season shooting 49.7% from the field, 39.8% from downtown and 89.9% (second in the league) from the line – culminating in an impressive 60.3% true shooting percentage (10th). To emphasize how close Dass Haar came to rejoining that exclusive shooting club, he only need to connect of three field goals, one three and one of the free throws he missed during the season to reach the required percentages. Regardless, Dirk’s sharpshooting helped him on his way to finishing 10th in the league for Player Efficiency Rating (23.6), ahead of other stars like James Harden and Dwyane Wade. Meanwhile, he age also did not deter him from making the 15th-most free throws in the league – a great barometer of his improved health. Injury ruined his previous campaign, but it was fantastic to see the Mavs future Hall of Famer back to his sharpshooting best. The Dirkus Circus wont be open forever. Lets all enjoy it while it is. No one really knew what to expect from the speedy Ellis when he signed a three-year, $25 million deal with Dallas in the offseason. On one hand, he was the proven scorer that Dallas has desperately lacked beside Nowitzki since Jason Terry skipped town. And on the other, his reputation as a chucker preceded him. Would he be more JET, or more OJ? Thankfully for Dallas fans, Ellis embraced playing in a different role for the Mavs and he and the team reaped the rewards of his sacrifice. The former Golden State Warriors and Milwaukee Bucks scoring machine continued to fill it up, finishing the season averaging 19.0 points a night (20th in the league), but also finished in the top-20 for assists per game for only the second time in his career with 5.7 dimes per contest. 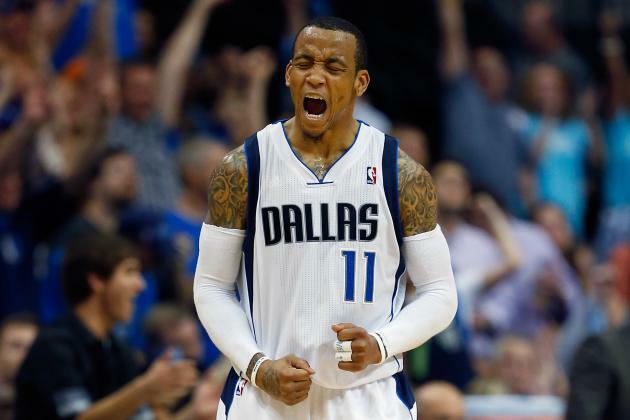 Monta also finished 11th in the Association for steals with 1.7 per game and enjoyed his most efficient shooting season in five years, shooting 45.1% from the field and 33.0% from beyond the arc. Ellis thrived alongside a pass-first point guard like Calderon, who was able to reduce the need for Ellis to create his own shot and instead get him the ball in positions to score – a convenience Ellis had never enjoyed previously in his career playing alongside shoot-first guards like Baron Davis, Brandon Jennings and a young Stephen Curry. Ellis also enjoyed a career-best playoff outing, averaging 20.7 points against San Antonio, marking he first time in his career that his playoff average eclipsed his season average. It might have been an unknown commodity before the season, but Ellis’ production was a huge factor in Dallas’ success. Dallas headed into this year’s draft with only two second-round picks – 34th and 51st overall, after dealing their first-rounder to the Oklahoma City Thunder via the Los Angeles Lakers (the Lamar Odom deal) – that pick was top-20 protected, but fell agonisingly to 21st overall. However, those picks would find their way to the New York Knicks, as Dallas reacquired former centre, Chandler, and point guard Raymond Felton before the draft. Also heading to New York was Calderon, Dalembert, Wayne Ellington and Shane Larkin. The Mavs have been missing a solid presence at centre since Chandler left for New York, and who better to replace the former second overall pick than himself? Dallas also has several contractual situations to attend to in the offseason. Most notably, Nowitzki is out of contract, but do not expect him to be wearing anything other than Maverick blue next season. 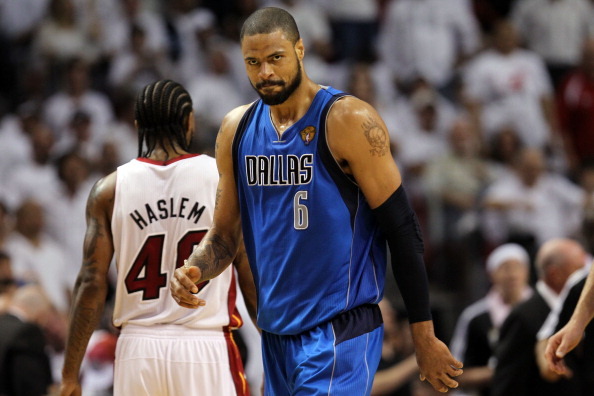 Marion, Carter, Harris, DeJuan Blair and Bernard James all join the big German in the free agency pool, but their futures with the Mavericks are less-certain than their European counterpart’s. 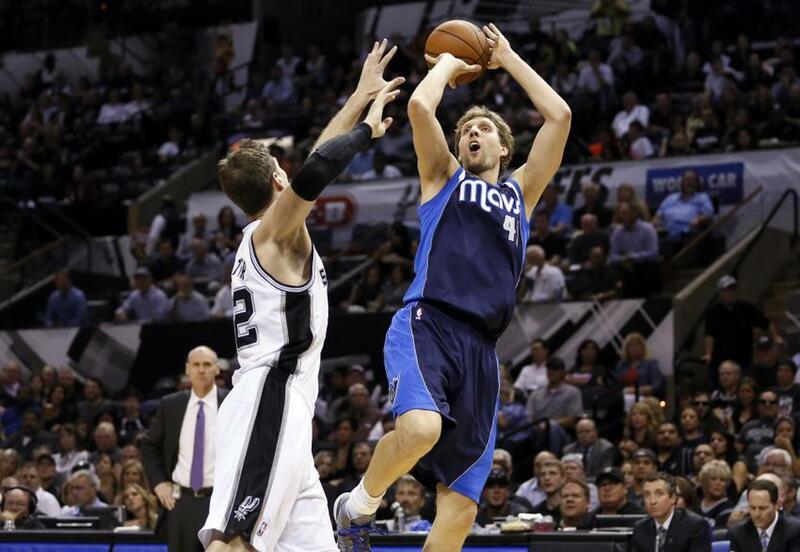 In truth, all future signing prospects hinge on the price tag Nowitzki demands. Dirk has stated that he would be willing to take less money in order to aid the Mavs chance of landing some immediate help. If Dirk takes a “Tim Duncan deal” ($10 million a year), it will leave Dallas with roughly $24 million to flesh out the rest of their roster. They wont be chasing superstars, but circumstances giving, the Mavericks are in a great position to retool and kick off another streak of consecutive playoff appearances.